Have a great idea for a book you’d like to write and sell? Creating an ebook is a great way to self-publish your writing and generate some passive income by selling it to consumers. Plus, ebooks have been steadily rising in popularity over the past few years. It can take quite a bit of work to create and market an ebook. The worst-case scenario would be launching a book that doesn’t sell. To avoid this and create a solid stream of passive income, be sure to implement these steps when creating your next ebook for profit. Selling an ebook is just like selling any other product. You not only have to sell the item, but you also have to sell yourself and your credibility as well. You want customers to become familiar with you so they know, like and trust you. When this happens, people will be more willing to go through with a purchase. To establish this relationship and trust with your customers, it helps to have some credibility. Be sure to define in your bio and marketing for the book what makes you qualified to discuss the particular topic. If you have a blog, have been mentioned in the media, or have some important experience or research to back up your claims, you can do a better job of persuading people to buy your book. This is especially true if you’re trying to sell a non-fiction or self-help book. Think about it this way. Would you buy a self-help product from just anyone without seeing credentials or a proven track record? Probably not, so don’t ask others to do it either. If you’re writing a non-fiction book or self-help book, it can still be entertaining and easy-to-read but you also want it to solve a core problem. It’s important to get into your audience’s head and perform detailed market research in order to determine what they actually struggle with. If your experience and credentials have led you to come up with the right solution, you’ll be able to successfully sell your book to a specific audience. Finding your problem to solve may be easy or difficult. If you’re a busy mom who has mastered the art of organization and structure and want to show others how to do the same, that’s a clear problem you can solve with your ebook. 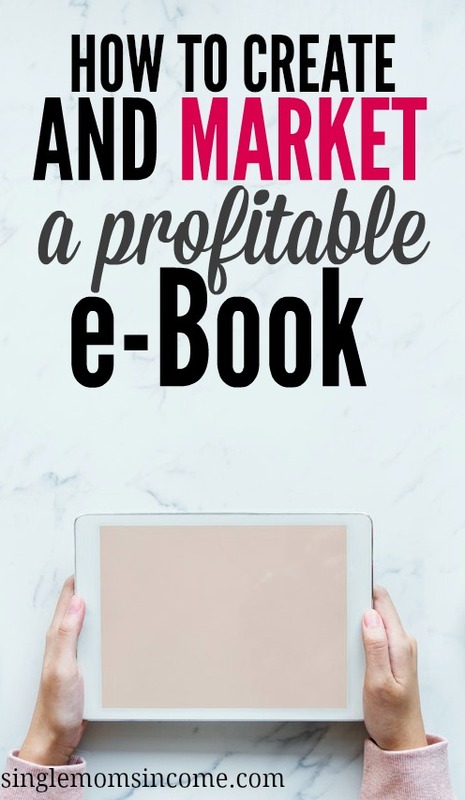 The next thing you want to do is make your ebook as professional as possible. Even if it’s not under a fancy publishing company, you still want to provide customers with a quality product. Make sure the content is proofread and edited by a professional. You also may want to talk to a graphic designer about coming up with a cover page design. Another great thing about writing an ebook is that you can offer downloadable material for readers as well. Would printable worksheets or checklists help enhance the reader experience? Don’t be afraid to go the extra mile. Before you finish your ebook, it will be helpful to work on building up your following and building trust among your target audience. After completing market research, explore platforms you can establish to share your expertise or build a following. You may want to start a blog and share weekly tips while building an email list, or start offering value on various different social media platforms to engage with and encourage your audience. While building up a following is not necessary, it’s highly recommended and will help you have a built-in audience to market your book to from the start. Once you’ve completed your ebook and established a target audience, it’s time to start working on your marketing plan and sales copy. Ideally, you’ll want to choose a platform to sell your book on. You can choose a product site like Gumroad, or sell your book through Amazon Direct Publishing for example. Your sales copy be placed on a landing page used to entice people to buy your product and create a better, user-friendly experience. When it comes to marketing your book, determine which channels you’ll use to promote it. You can use free options like promoting the launch on social media, to your email list, or even on podcasts or in guest posts that will allow it. You can also consider spending a little money to create buzz with Facebook ads. It’s key that you set a marketing budget and measure ROI. Use your market research to determine which channels are going to be best for reaching your audience. Audiobooks are super popular these days. Many people want to read, but just don’t have the time so they’re signing up for services like Audible. Why not record your own audio version of your book and offer it with the original ebook purchase? This is a genius idea that will help your book sell and you can record MP3 files right on your computer. You may want to invest in a basic microphone from Amazon to improve the quality. Creating an ebook can be a great way to generate long-term passive income when done effectively. Plus, it’s great to help others with purposeful content. Have you ever thought about creating an ebook? I like that you suggested making an audiobook! That’s definitely an interesting route to consider! Like you said, some people would rather listen to an audiobook, and you could better reach that part of your audience by making one. Thanks Kim! Yeah, I’m pretty obsessed with audiobooks these days so it’s a popular option right now. The key to selling eBooks is to write simply and clearly. People will buy your eBook because they want to learn how to do something. Start with the desired result (teaching an idea, skill, or process) and then work backwards.